Overall, I have to say this was one of the best groupings of start-ups I've seen pitch. Good markets, good solutions, and seemingly getting good traction with their proof-of-concept implementations. The following are my quick thoughts following the presentation. Note that I haven't gone in-depth into analysing the businesses (especially in terms of the competitive environment) so I'm mostly judging the businesses primarily on what they communicated in their presentations. "We at 7pm anywhere aim to make the world a better place by making meeting people online fun!" It's pretty obvious that 'people meeting people' is a pretty massive market to aim at. How big? If I'm a goth, and want a date, I have to choose between www.gothicmatch.com, www.gothscene.com, www.gothpassions.com, www.goth.net.au, and that's only the first page of Google results. It's a big - and slightly frightening - market. I have no doubt that lots of people find that their current 'outcomes' from online dating aren't great, attribute at least some of that to the process, and would be happy to try an alternative. Good customer retention stats shown from the proof of concept. This is an extraordinarily crowded market. Yes, the approach to online dating is a little different, but it just doesn't strike me as a 'better mousetrap', or at least, not one that the world needs and will pay for. Tried to go to their website and got this. I think the universe is telling me that 7pm Anywhere & I are just not meant to be together. The pricing model was glossed over, and there would seem to be some pretty big questions about the viability of the financials given the acknowledgment that there is insane pricing for relevant Adwords in this space, as well as a bunch of free online dating sites as competitors. I am assuming that there is no plausible chance of patenting an online dating 'business process', so there is no barrier to entry for new or existing market participants - and it would seem to be a relatively simple function for an existing marketplace to build in. Prediction: Unlikely to get funded. Which is sad, since it's clear how much effort has gone into getting the business this far. But that's dating - if the chemistry isn't there, it just isn't going to work. "Tutor On Demand is a specialist provider of online, on-demand and engaging video lessons covering VCE subjects." Implementation of the idea looked good. Definitely a massive market. Education is a huge - and growing - industry and there is no question that more of it is going online every day. Given that we're even seeing the concept of 'for-profit' schools being seriously discussed (http://www.smh.com.au/national/education/forprofit-schools-to-cash-in-20130119-2czzc.html) there is no reason to think something like Tutor on Demand couldn't have an 'official' role in the education system at some point down the line. Also unclear in what proportion of cases the online system will entirely replace the real-world tutor; and if not a complete replacement, it's not reasonable to look at the $8-10K spent per student in Singapore as an 'available' market: On the contrary, the issue may be that you're asking people to stretch from $8-10K, to $10-12K, and it could be a bridge too far. Ultimately will have the challenge of selling it to the parents: whereas the students are likely to embrace this form of learning, I expect parents are less likely to embrace it due to the feeling that the Internet is full of Facebook-Pinterest-Twitter-Instagram-4chan-Timewasting distractions. Tutors are probably perceived as a less risky proposition. Prediction: Massive market. Will get the cash they are after. "We made Shiftr because we were fed up with all the stuffing around required to have a shift swapped." ie. An application that helps people with swapping casual work shifts. Not to be confused with http://www.shiftr.com/ (which is an "automotive lifestyle community" - which I assume is Facebook for car people)... Took me half a dozen goes to figure out the right search terms to find them, but eventually got there. Simple idea. Which is good. My original concern on this one was that having worked in McDonalds when at school, my experience of the 'shift changing' process was that it was your problem as an employee to find a replacement if you couldn't complete your shift. I raised this with one of the Shiftr guys and they pointed out that the issue now is actually that the payment requirements for different staff can now vary pretty significantly based on how much they've worked, their age, and a bunch of other factors - so allowing people to sort it out themselves could result in significant cost increases for the companies through low-cost staff being replaced on shifts by higher-cost staff. A good point. Since it is the companies that are being asked to pay for this, when the real convenience and benefit goes to the employees, the big question is going to be whether there is enough 'pain' at the company side, to make this worthwhile. Reminded me of Happy Inspector from last year. A good idea, but a low barrier to entry. If it starts getting traction, I don't understand why a big company needing it wouldn't just do it themselves which would allow them to build in more granular business logic specific to them. That said, if it's priced at the right level and gets a groundswell of support from employees, it could work anyway. Particularly if it does provide some sort of model whereby the employer can code in some specific business logic about who is allowed to replace who. Prediction: I'm unsure on this one. I think they will get the cash they are after, probably in the US (a la Happy Inspector). "A web, and mobile communication app that connects child carers and parents worldwide"
A very solid idea. In the little experience I've had with day care centres/services to date, it is absolutely true that most of them seem to still be sticking photos to paper newsletters or 'activity books' to track what kids are doing day to day. A big market (http://foi.deewr.gov.au/system/files/doc/other/state_of_child_care_in_australia.pdf - at least 6000 long day care centres and I'm sure that categorisation excludes thousands of other potential users too... plus lots of natural up-sell / cross-sell etc opportunities). And of course pretty simple global applicability. Already have investment committed from the Centres they are working with. Good signalling and a good start. The 'parenting' community is heavy on social media... (Because when you don't know what you're doing, you punch it into Google and get blogs of other people saying they don't know what they're doing either, which makes you feel much better.)... so the implementation of this makes a lot of sense. Logically I have to assume that the Centres have some kind of "Childcare Centre Management System" which could be extended by its vendor to provide some of these functions; but at the same time it wouldn't surprise me at all if all software in this space is horribly under-developed. As an information security professional, this kind of marketing statement (from their website) makes me cringe: "Kinderloop’s data is securely stored in a 24/7 monitored data centre. All traffic is encrypted with SSL - the same security banks use." ...since it is a woefully insufficient benchmark to say that "SSL" is "the same security banks use". (Oh, and "all traffic is encrypted with SSL" is also dicey given that the login page at http://app.kinderloop.com/login/auth is served over standard HTTP). But realistically that stuff is pretty easy to deal with if it is an issue at all, and to be fair, I have no reason to believe the overall security of the system is anything but entirely appropriate. But it is certainly oversimplified in the marketing, and needs to be taken seriously. Privacy concerns (which made up a couple of the questions after the presentation) are legitimate but far from unsurmountable. Tagging of photos and the like can allow people to opt-out, and provided authentication controls are robust, this shouldn't be a show stopper. That said, the emotional aspect of it means a security breach could kill it - a privacy breach involving a dump of kids photos would not go down well with the media. The biggest privacy issue is more likely to be with the global roll-out of the product, trying to satisfy the many and varied requirements of things like the EU Privacy Directive etc. Prediction: Good idea, good initial traction. Will get the cash they are after. Every chance I'll end up a user. "Create events in your web app that trigger outbound calls. Build loyalty, learn, and show you care. It’s a long proven practice that we have redesigned for online business." I like this idea, and for businesses who are sophisticated enough to get a meaningful workflow together around their sales business, I can see that it make a lot of sense. (eg. Building this in to abandoned cart workflow - given that abandoned cart rates can be well over 50% - could be a winner for a lot of businesses... although technical automation of this is taking some of the easy stuff out of it - eg http://www.bigcommerce.com/ecommerce-blog/new-feature-coming-next-week-abandoned-cart-saver/). For businesses that aren't able to get a coherent workflow together, it may just be easier for them to give a spreadsheet to someone they hire on Freelancer.com. If discussions like this are still happening (this is from 2009): http://www.flyingsolo.com.au/forums/sales-marketing/3672-outsourcing-your-telemarketing.html - then GoodCall is way overdue. Without having done much telemarketing in my time, this does seem like a good solution, and one that I can see would be useful for my own businesses at a point in time. Issue may be around high-volume usage and cost. External calls at $3 per call would get very expensive very quickly. I don't have hard data on it, but a quick Google found this (http://www.quotebean.co.uk/buying-services/telemarketing-companies/help-to-buy-guides/uk-roi-and-costs-for-telemarketing/) which while far from definitive, has figures like 22 pence and 38 pence per call. Prediction: Ignoring the risk of the pricing being too high (which I think primarily effects who would use it and what for), I like it. I expect they will get the cash they are after. 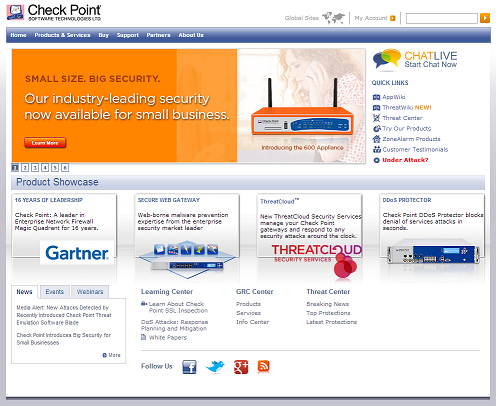 "Crowd-sourced security testing for web and mobile applications." I obviously know this market well. As per my previous analysis of the penetration testing market in Australia alone, it is at least $200-300M (and a number of people have suggested to me that this is underestimated by a reasonable margin). Add in overseas markets - since this is able to be rolled out anywhere with little to no modification - and it's obviously a significant market. 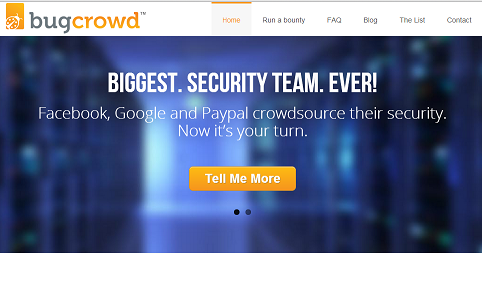 Bugcrowd already have a number of great clients, and a meaningful revenue figure to demonstrate the viability of the model; and have testimonials and evidence to back up the effectiveness of the model and the results that it generates for companies. There are certainly competitors - the existing market participants and consultants who provide penetration testing and vulnerability assessment services - although I also think there is opportunity to turn at least some of those competitors into partners, since at a certain level, the viability of consulting projects becomes touch-and-go, and outsourcing the heavy lifting of the testing activity could be more efficient. There are also other companies such as Bugwolf who are very similar to Bugcrowd, however seem to have been unable thus far to convert significant companies into paying customers at a meaningful level. Prediction: I'm an Advisor, I'm already involved, and of course I think it was a strong pitch. We'll see how the market responds. Good idea, very impressive initial client list. Will get the cash they are after.